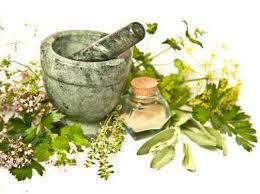 The herbs used to create herbal medications come from plants of some type, either alone or in combination. These medicines are popularly used to assist in the treatment of various common illnesses or ailments. One term used to address herbal medication is folk medicine. This term specifically refers to types of herbal medications and treatments that are common to certain regions or groups of people. For several years, people who are natives of different parts of the world have used different types of alternative and herbal medication to treat ailments among their people. There are two different areas of alternative medicine. The three geographic regions from where the herbal medicines used today got their roots. They include as one location: Greece, Rome and the rest of Europe from medieval times. Second is the Ayurvedic, which gets its roots from India and China. Although they are considered to be two separate schools of alternative medicine, they share so many things in common that they cannot really be separated. Generally, the separation between the two schools of though came from the fact that each geographic region had plants and natural materials found only in their region. To researchers, the use of prayer in treating medical conditions or afflictions is considered a form of alternative medicine. In the study discussed earlier that showed 30% of adult Americans using some form of herbal remedy or alternative medicine, - the percentage raised to nearly 60% when a higher power was included in the mix. This is the case because alternative medicine has historically included both scientific advances as well as spiritually based or philosophically based approaches that became popular during a specific time. Ayurvedic means “knowledge of life” and it has historical roots stretching about six thousand years. This type of alternative medicine also included vaccinations as well as some of the first known types of surgery. Ayurvedic medicine leaned more toward the treatment of symptoms than it did in preventing illnesses. Natural medicine strives to attain the promise included in the quote, “an ounce of prevention is worth a pound of cure.” The old saying is ironic when it is considered that with all of the technological advances in the medical field, our society continues to primarily address the symptoms of an illness rather than the prevention of that illness. This guide will briefly touch upon the uses and benefits of many herbal remedies. Note that the majority of natural medicines come from some type of flower or plant. It is encouraged that the readers perform further investigation into any proposed remedies that are of interest before trying to use the remedy. Although this guide is entitled with the word herbal, included among the proposed remedies, also included are remedies that find their origin in the bark of trees, rhubarb and even alfalfa. Most herbal remedies are useful in the treatment of multiple afflictions and conditions. This guide presents only a few of the possible uses. It should not be assumed that the uses presented are the only possible uses. In order to make this guide more approachable by the average reader with limited experience in the Latin names of the herbs discussed, we have used the commonly recognized name throughout the presented material. You may want to visit this website providing user friendly information on herbs and aromatherapy .